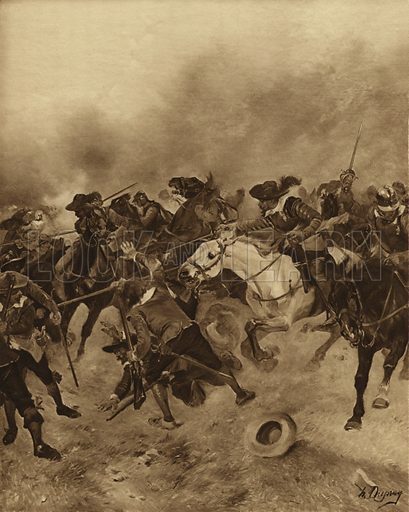 Battle of Marston Moor, 1644. The North lost to King Charles I. Illustration for British Battles (Charles Letts, 1902). Available worldwide for immediate download up to 4,689 x 5,878 pixels.